The Mansions on Fifth first tier wedding package will ensure to dine and delight your wedding guests. An elegant four course served dinner includes your custom wedding cake by our very own Priory Fine Pastries, is preceded by a champagne toast for you and your closest guests. The evening is complete with a 4 hour open premium bar and complimentary valet, all hosted by a special event manager to oversee every detail. Take a step up from our Celebration Package to enjoy the luxury of the Grand Wedding Package. In addition, you will provide scrumptious butler passed hors d’oeuvres during cocktail hour followed by wine service at each guest’s dinner table. The newlyweds will finish the evening off in our McCook Hotel Suite with champagne and chocolates. 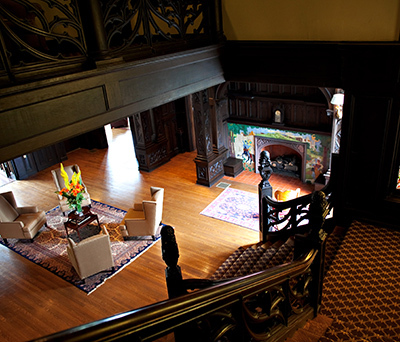 Our top tier wedding package at Mansions on Fifth will be nothing less than extravagance for you and your guests. Toast to the beginning of a wonderful marriage with a complimentary champagne toast for all guests and a top shelf bar. A special interior lighting package and colored sashes to adorn our chiavari chairs will be sure to catch the eye of your family and friends. Two additional hotel rooms will ensure that a few of your guests will have the opportunity to indulge in the full Mansions treatment. Just launched! With the success of our Winter White Wedding® package at our Grand Hall at the Priory Hotel, the Priory Hospitality Group is proud to offer its version of the Winter White Wedding at the Mansions on Fifth Hotel! We like to think of it as Dr. Zhivago meets the Mansions! While winter is typically a time that people dread, there is a distinct beauty and crispness to the season which our Winter White Wedding celebrates. We embrace the winter, not decry it! Celebrate a beautiful springtime wedding with our exclusive April Showers Package. Guest tables will be decorated with your choice of a beautiful centerpiece to compliment the colored table runner and sashes for our chiavari chairs. The four course plated dinner with several April only menu choices will provide a scrumptious dinner to complete your springtime theme! A cool autumn evening is the perfect setting at Mansions on Fifth to “Fall for Love” with our special November Wedding Package. 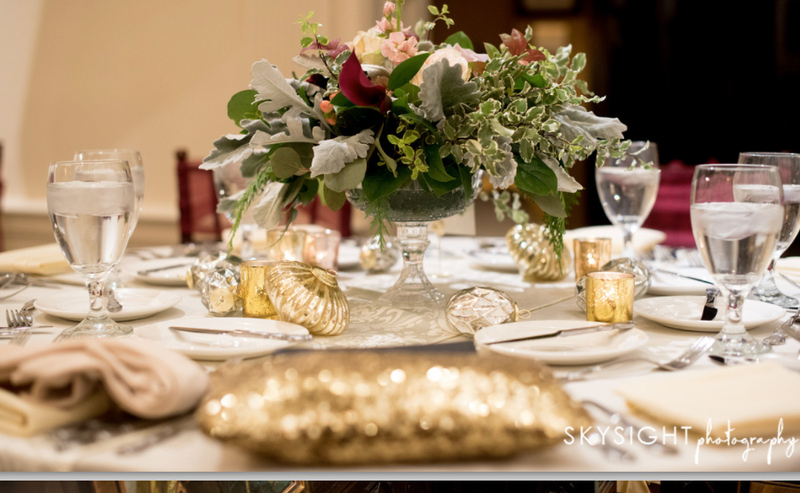 Your custom centerpieces and special interior lighting will invite guests to enjoy an evening at the Mansions. Distinct, November only menu options will be served to delight guests. Table runners and chair sashes will tie your entire autumn scheme together while your guests dance the night away.